The recent compositions of an accomplished musician may sound unusual to the human ear but David Teie says his output of late targets a different type of audience. Teie spent approximately eight years developing a theory on how music affects emotion in humans before realizing his findings could be tailored for other species. 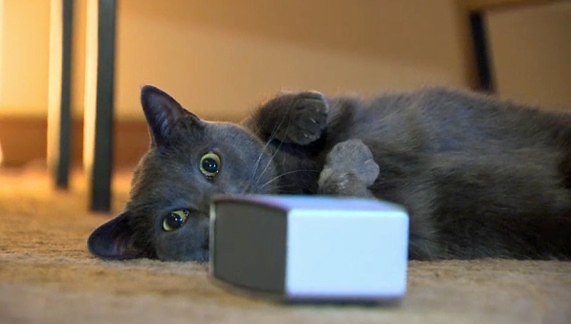 The accomplished cellist, conductor and music director, who happens to be allergic to cats, developed music for felines based on cat vocalizations and brain development. The fruits of his labour involving nearly 30 purr instruments have been made available to the public with the release of Cat Calm Radio, feline-friendly music that debuted on national ‘Take your cat to the vet day’. Dr. Laura Fick, a Calgary-based veterinarian, says the science behind the music’s calming influence on cats has merit. Fick she introduces her own cats to the music and it resulted in a calm experience for her and her two pets.